Welcome to Lizzie Beers, who joins the West Midlands team as geo-environmental consultant. Elizabeth has a proven track record, having worked in consultancy in Birmingham for 11 years – delivering large scale projects across the West Midlands and across the country. At Delta-Simons, Lizzie will be responsible for management, financial and technical input to proposals and project management. She will also manage, coach and mentor staff in the delivery of projects. Delta-Simons opened its Birmingham operation earlier this year – under Paul Bennett as geo-environmental unit director in the Midlands. Lizzie is joining a growing team, which is already looking to move office due to expansion. Paul said: “We’re really happy to welcome Lizzie on board. She is not only experienced, but well known in the industry and will be a great asset to our team. We knew Lizzie would be a great fit for our business because of her extensive working knowledge of services which Delta-Simons is delivering. Lizzie will also be also supporting Paul in business development. 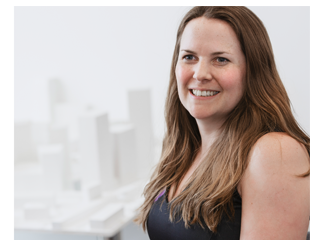 She is on the committee of Birmingham Best Practice Club for property and construction professionals, supports the Remediation Society and the Colmore Business Improvement District in Birmingham. Lizzie said: “Delta-Simons is a leader in its field which is why I jumped at the chance to work with them. They deliver some of the biggest projects for the world’s leading organisations – and the team has incredible expertise. I like the company’s vision and culture and really wanted to be part of its huge growth. Lizzie has previously worked with large engineering and construction consultancies in the past – including BWB Consulting Ltd and WSP.